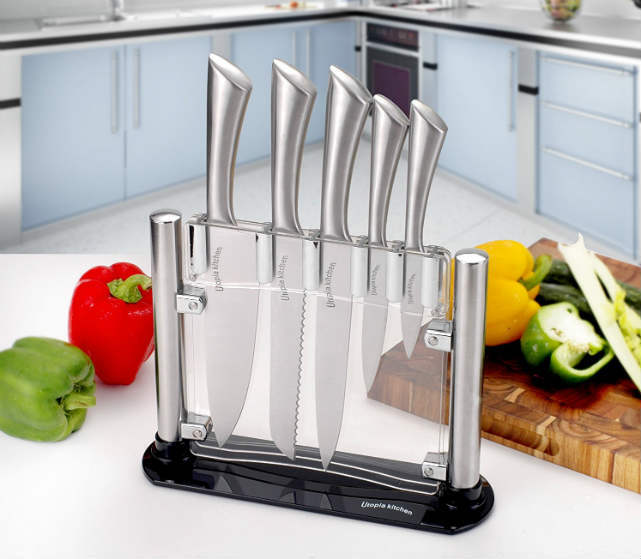 Utopia 6-Piece Stainless Steel Knife Set Only $19.99 Shipped! Utopia 6-Piece Stainless Steel Knife Set Sale! Calling all readers! Head on over to Amazon.com and purchase this Utopia 6-Piece Stainless Steel Knife Set for just $19.99 shipped! Hurry and grab this low-price deal now before it’s too late. For safe, durable, and quality blades that don’t dull easily, our knife line is your ticket to cooking with ease. For food prep at home or in the commercial restaurant kitchen, our 6-Piece Block Knife Set offers your home or business a complete set of kitchen knives and blades for all of your food prep needs. Easy-to-use and durable, this Stainless Steel knife set is made with tarnish-free and rust-resistant Stainless Steel that will stay sharp through many uses. Let us know what online deals you’ve found lately, because we’d love to hear from our readers. Next articleCooks Cast Iron Products ONLY $4.99 Shipped At JC Penney!